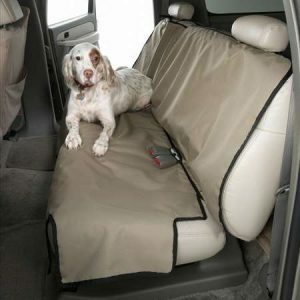 COVERCRAFT SEAT COVERS - The Topper Shop Inc.
All Covercraft seat protectors are easy-on/easy-off and are machine washable. 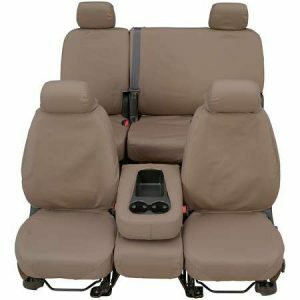 We don’t have “one size fits all” seat covers, our SeatGloves® are semi-custom with sizes for car and truck bucket seats. 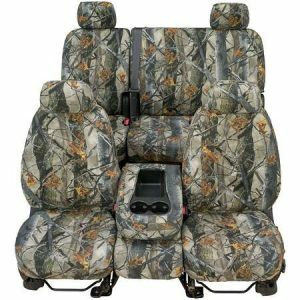 SeatSavers™ are custom tailored for a perfect fit and include headrest and armrest covers where applicable. 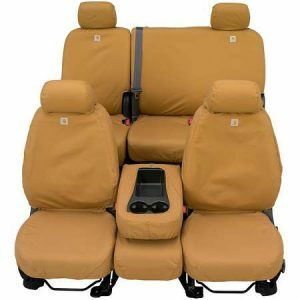 Work Truck seat covers help reduce fleet maintenance cost; the durable denim weight fabric is like “jeans for your seats”. And for hardworking line crews and oil field work we even offer a water-proof fabric! SeatHeaters™ can be installed directly onto bucket seats, or covered with any of our seat covers, to provide additional driving comfort when needed. A true “plug-and-play” installation is easy and the dual-switch control allows driver or passenger seat to be heated individually or together.